Property owners in Houston do their best to prepare for anything. Unfortunately, some disasters can’t be avoided, no matter how thoroughly you prepare. A fire can damage any home or business in Houston, Cypress, or Pasadena, often without any warning at all. Fortunately, you can get immediate help recovering from fire and smoke damage by contacting 911 Restoration of Houston. Our fire damage restoration crews are on call 24/7/365. 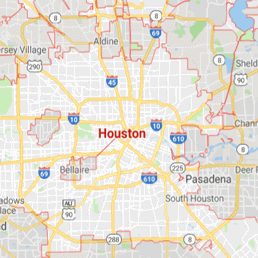 We can reach properties in Pasadena, Houston, and Cypress within 45 minutes of an emergency call, no matter what time of the day or night you call us. Techs can even pack out and store your undamaged possessions during fire damage restoration in Houston. You can keep your peace of mind by knowing that we will protect your possessions from further harm after you experience a commercial or residential fire. Crews can take care of odor and smoke removal in Houston after a small or large fire. We know that the smell of smoke and burnt wood, plaster, or fabric can be difficult to get out without professional assistance. Let us take charge and make sure you get everything you need after a fire. Our techs are ready to charge into action to totally restore, renovate, and repair your property. Fires can cause serious damage to homes and businesses in Houston, Cypress, and Pasadena. Flames can damage your roof or walls, allowing the elements to further damage your property. You may also have to deal with water damage from fire hoses or sprinklers used to put out the flames. We understand that fire damage restoration in Houston involves repairing structural damage and handling smaller details like smoke damage. Handling fire and smoke restoration completely can ensure that your property is returned to better-than-new condition. Smoke removal takes experience and professional equipment. 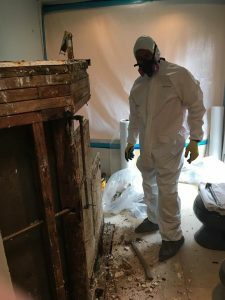 The techs at 911 Restoration of Houston are also trained to handle puffback cleanup. You likely only run your furnace for a few months every year, but this can still lead to puffback damage as soot and ash spread through your home or business. Getting fire cleanup in Houston for puffback damage can make your property look perfect once more. Let us handle puffback cleanup in Houston to return your property to perfect condition. Getting rid of puffback can remove unsightly blemishes and get rid of the ashy smell that can fill your home or business. You deserve to get your peace of mind back after any type of fire damage. Contact us now to get the help you need in Houston, Cypress, or Pasadena. You can get a Fresh Start after a fire by contacting our IICRC certified smoke removal technicians as soon as the flames are put out. Let us prevent further damage from occurring in your home or business. Our techs also have experience working with all insurance companies, which can make filing a claim after a fire much less stressful for you. The fire cleanup techs at 911 Restoration of Houston can also handle smaller types of ash and smoke damage with puffback cleanup services. You shouldn’t have to deal with the blemishes caused by a misfiring furnace in your home or business. Let us take care of puffback cleanup to return your property to beautiful condition. You don’t have to deal with fire and smoke damage on your own in Houston, Pasadena, or Cypress. Getting professional help on your side from experienced fire damage restoration techs can ensure that you regain your peace of mind quickly. 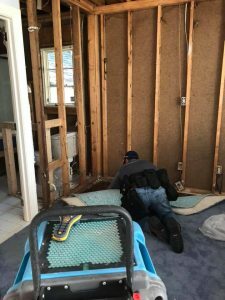 Get ready to move forward with your life after a fire by calling 911 Restoration of Houston today to get the help you deserve.